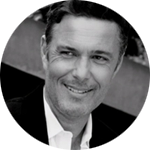 Carlos Bernard began his career acting on the stage in his hometown of Chicago, performing at such theaters as The Second City, Victory Gardens and Pegasus Players. He then moved to San Francisco to train at the prestigious American Conservatory Theater, where he performed in such classics as Hamlet, As You Like It, Heartbreak House, and Good. He has appeared in close to two hundred episodes of television including, but is probably best known for his portrayal of counter terrorist agent “Tony Almeida” in the Golden Globe and Emmy Award winning series 24, for which he numerous award nominations. Carlos has also written and directed for the stage, including his staging of Vaclav Havel’s “The Memorandum,” for which he received an LA Weekly Theater Award nomination for Best Director. His first film, Your Father’s Daughter, which he wrote and directed, premiered at the Los Angeles Latino International Film Festival and the Beverly Hills International Film Festival. Carlos just finished directing his fourth episode of the new CBS series The Inspectors.